You should always bear in mind that a broken Gas and Water pipeline can be very dangerous for you and your whole family. Never try to risk the lives of your family members by ignoring any kind of warning signals instead go for a gas & water line repair. 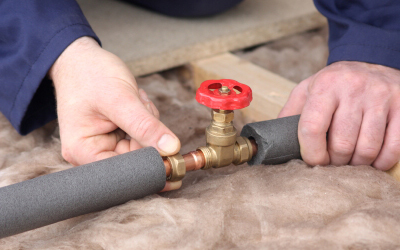 Gas leakage is one of the most commonly found problems in a home. Apart from gas leakage, we also face the problem of water leakage. This is when we require the service of plumbing repair, replacement & installs from reliable companies. It is recommended never to wait for the last minute for repairing such leaks. Gas leakage is very dangerous for your whole family. A small spark from electrical units or, a cigarette or a match stick can lead to major fire causing extensive damage to your property and human lives. Even a spark produced from switching on the light bulb can lead to major fire when gas leaks and is ignored. Therefore it is very important that you conduct regular maintenance with a leading Gas and Water Line Repair Company in NJ. Once we receive your call, we will send our team of professionals to check on the problems that you are facing. Hiring a professional will ensure that your gas is up to date and perfect. 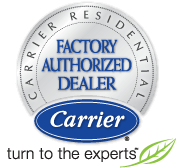 Our professionals will visit your home every month if an annual contract is signed with us. In case you are living in an earthquake prone area, you must ensure that the gas leak is taken care very often because an earthquake can damage the gas pipe line and therefore immediate action must be taken whenever such natural calamities occur. Similar to gas leakage, it is equally important to check the leakage of the water line of your homes. This leakage might not be as dangerous like that of a gas leak but a leaking water line will mean gradual development of moisture over a period of time which can lead to various health problems. Moreover if you are living in a place where the climate is cold, the water in the pipeline tends to freeze which can lead to an explosion. Therefore during such times, you must ensure to empty the water in the tank so that water does not pass through the pipe. All these will have to be handled by a professional team as you might not be able to handle it on your own. We are here to at your service and we will ensure that you will not face any problem with your gas and water pipeline as long as you want us to. Call us today for a free consultation for gas and water line repair works. We can help you overcome all your household maintenance problems that you are facing now. Moreover, All Week has trained professionals who will know exactly what is required and how to go about with all sorts of plumbing repair, replacement and installs work.